By PURE CHANCE, we found today's LP in the stacks at Recordland shortly after Ron Choe gave us the Feds tape we just posted. 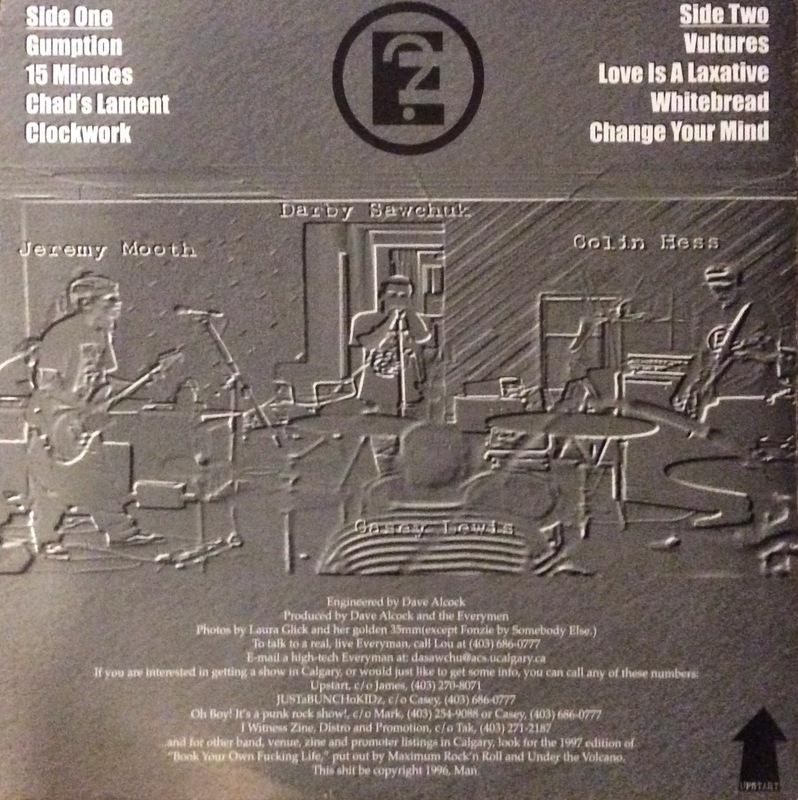 Which is weird, because (a) the Feds were basically the Everymen plus a bunch of other folks and (b) we had no idea the Everymen had pressed a 12" record (IF we had bothered to read the back of their 1996-1998 compilation CD, we would have realized, uh, duh, they did put out a 12"). 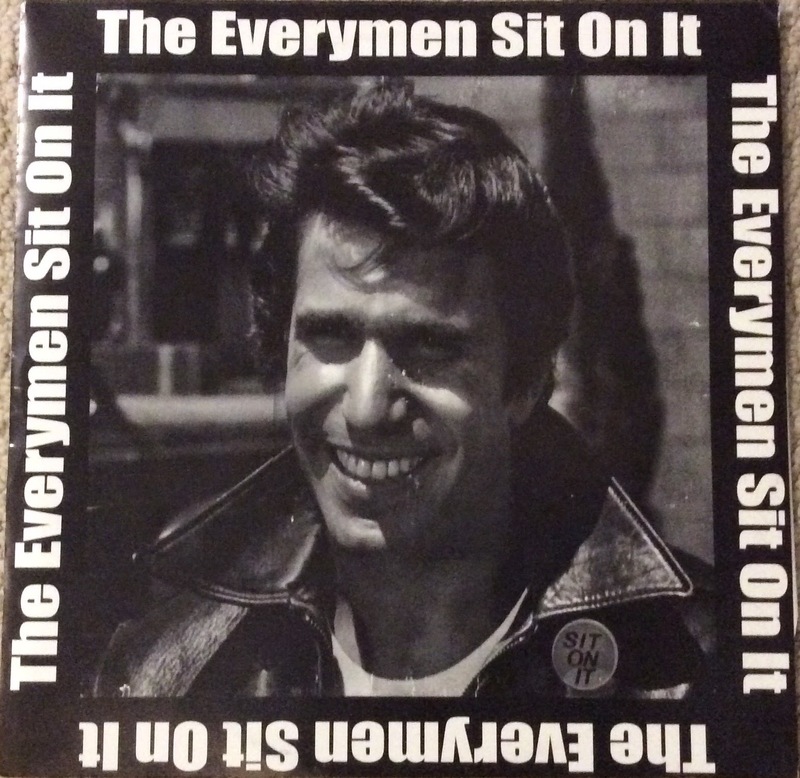 Actually, in finding this, we think the Everymen make the list of one of the few Calgary bands that put out 7" and 12" records, tapes and CDs. That's a pretty good spectrum of recording media they've hit there. Oh, and this one is pretty good. Casey Lewis's drumming propels this record through 22 minutes (note: this is a 45rpm record. Darby Sawchuk's vocals sound completely weird and druggy at 33rpm) of all ages pop punk goodness. It leaves us pining for the Carpenter's Union Hall.